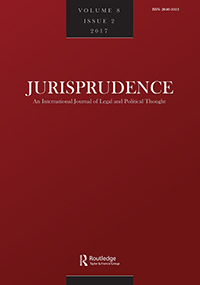 Abstract: This article is based on the Inaugural Adam Smith Lecture in Jurisprudence given at the University of Glasgow in 2016. It asks this question: is it not an age of obligation that we live in as much as, if not more so than, an age of rights? To answer this it explores a number of different senses of obligation to be found across a range of social practices. After an overview of some of the main concerns of Smith’s work, it looks at two types of ‘obligation practices’ prominent in contemporary society: those that make rights effective, and those that operationalise debt. In paying attention to the often less visible work done by and through obligations, it also highlights certain vulnerabilities citizens are susceptible to when the distinction between obligation and obedience threatens to collapse.